This was the most intense week of action I believe I have ever witnessed during the Fall Exposure League existence. The intensity and aggressiveness was so high that I have been calling players during the week checking on their recoveries from scratches and flying elbows injuries. We didn't experience the same close games as Kick Off Week. However, I'm super proud of how all teams and players continued to fight and play hard till the end of the games. Texas started the game undermanned and pretty much was scratching and clawing their way back into the game from the start. A couple of their players arrived to the gym right at tip off and it just put them at a disadvantage. Plus, Texas was without their second leading scorer, Heaven Thompson, who was on a recruiting trip to Texas A&M Corpus Christi. Again, congratulations to Heaven on her oral commitment to the school. 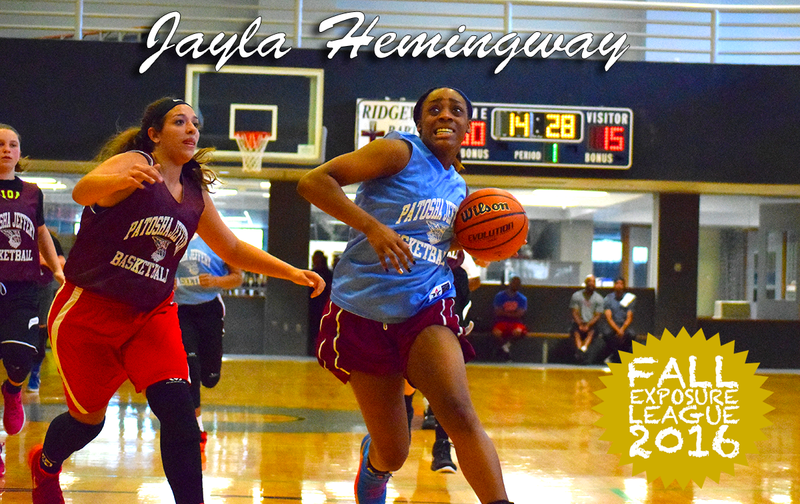 The Jayla Hemingway-led Washington was just to much for Texas to handle. Jayla led all scorers with 18 points and 6 steals. Texas was led by senior Tamia Aldridge who had another double-double 13 points and 11 rebounds. This game actually started off pretty tight. Then Oregon State grew a lead behind freshman forward Taylor Clemons. 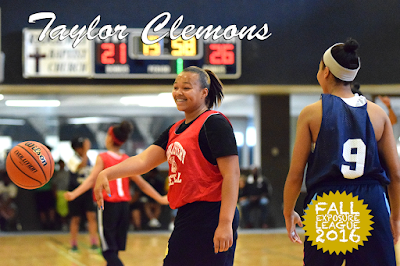 Taylor shocked me with her ability to stretch the defense when she knocked down a 3 pointer. She finished the game with a team high 18 points. Taylor had help on the perimeter from 5'10 Caitlyn Wilson who was 2/3 from the 3 point line. But I was more impressed with her showing that she is more than a spot up shooter. She can get to the basket also. Caitlyn had 16 points and 8 rebounds. Another player that displayed a well rounded game was Syracuse's Jada Taylor. I'm used to seeing her cranking out threes. But she demonstrated her ability to score off the dribble as well. Jada had a team high 13 points. Listen to the Fall Exposure League Kick Off Week Recap on the IPreps Radio show. The interview starts around the 1:02 mark. The Kick Off Week exceeded my expectations. This is one of the youngest leagues I've had but you would not have known that by the competitiveness of all the teams. First, I want to give a big thank you to everyone that showed my mom love on Saturday. On June 1, she had open heart surgery. She told me about all the people that stopped by concessions to talk to her (and to purchase her infamous rotel nachos :) ). up the court in transition. State Champions didn't mean anything to the youngsters of Oregon State nor did it intimate them. Especially, point guard Endya Buford. When she wasn't getting steals (5) or grabbing boards (5), she was aggressively getting into the paint to feed her teammates or set herself up to get to the line. She finished 5 of 6 from the line for a total of 17 points and was the game leading scorer. Syracuse broke out with an early lead. They got balanced scoring from Zareia Ector (13), Carria Smith (13) and Trinity Farmer (11). Then Washington's Jayla Hemingway turned it up from the perimeter (4/6 from 3 point line) and from the free throw line (7/14) for a total and league day high 27 points. Bionka Massie also added 15 points for Washington. But it was the stat lines from two eighth graders that raised eye brows. Syracuse's Anandi Farrell-Rousseau was all over the offensive glass. She grabbed 11 rebounds on the offensive end and finished with a total of 12. She is only 5'2. Washington 5'9 guard Tylei Byrd traveled all the way from Missouri to get in on this competition and she is taking advantage of it. She made her presence known and finished the game with 10 rebounds. Syracuse's Carria Smith also added 12 rebounds with her 13 points to finish with a double-double. This game ended up being the battle of the defenses. The guards on these 2 teams are extremely aggressive and stingy. This game had the highest total steals with 34. Texas' Tamia Aldridge shocked me with her ability to handle the ball at 6'0. I thought she was primarily a post player but it became a regular thing to watch her grab one of her 10 rebounds and lead the break up the court. She finished the game with a double-double including game high 20 points. Her teammate, Heaven Thompson, was hustling all over the court and got 5 steals along with 14 points. Texas looked to have the momentum early but Johnna Jones, Sade' Hudson and the rest of the Tennessee squad had something else in mind. You could not give Johnna any breathing room or she was letting it fly. She was 3/6 from the 3 point line and finished with team high 17 points. When Sade' wasn't grabbing 5 of her steals, she was contributing in the points column with 16. Two young players I have to keep my eye on is 7th grader Janiya Jones and 8th grader Leah Jones. 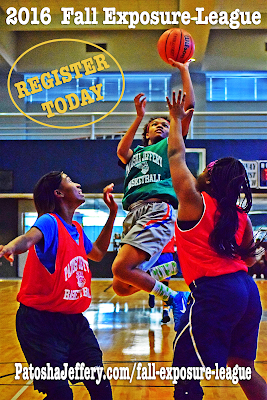 Janiya is quite the athlete and Leah at 5'11 can knock down perimeter shots. Syracuse broke out with an early lead. They got balanced scoring from Zareia Ector (13), Carria Smith (13) and Trinity Farmer (11). Then Washington's Jayla Hemingway turned it up from the perimeter (4/6 from 3 point line) and from the free throw line (7/14). Bionka Massie also added 15 points for Washington. But it was the stat lines from two eighth graders that raised eye brows. Syracuse's Anandi Farrell-Rousseau was all over the offensive glass. She grabbed 11 rebounds on the offensive end and finished with a total of 12 and she is only 5'2. Washington 5'9 guard Tylei Byrdtraveled all the way from Missouri to get in on this competition and she is taking advantage of it. She made her presence known and finished the game with 10 rebounds. Syracuse's Carria Smith also added 12 rebounds with her 13 points to finish with a double-double. This game ended up being the battle of the defenses. The guards on this team are extremely aggressive and stingy. This game had the highest total steals with 34. Texas' Tamia Aldridge shocked me with her ability to handle the ball at 6'0. I thought she was primarily a post player but it became a regular thing to watch her grab one of her 10 rebounds and lead the break up the court. She finished the game with a double-double including game high 20 points. Her teammate, Heaven Thompson, was hustling all over the court and got 5 steals along with 14 points. Texas looked to have the momentum early but Johnna Jones, Sade' Hudson and the rest of the Tennessee team had something else in mind. You could not give Johnna any breathing room or she was letting it fly. She was 3/6 from the 3 point line and finished with team high 17 points. When Sade' wasn't grabbing 5 of her steals, she was contributing in the points column with 16. Two 8th graders I have to keep my eye on is Janiya Jones and Leah Jones. Janya is quite the athlete. and Leah at 5'11 can knock down perimeter shots. 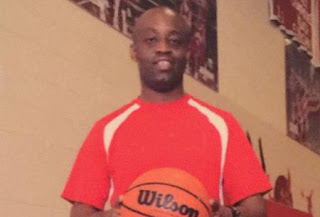 Patosha Jeffery has been in girls basketball for over a decade and she continues to put out a great product through her passion for the game of basketball. Her Fall Exposure League has plethora of talent in the Memphis and surrounding area and features such players as Gigi Lewis (MHEA) Endya Buford respected by many as the best 9th grader in the area (Olive Branch) Ashtyn Baker, (Northpoint) who had fans raving on Saturday, Bionka Massie (Central), Sade Hudson (Trezevant) and several other names that people should know in the girls game. I hate that I missed the first match up of the day which featured Buford and Baker against each other as I heard both played very well but I did see the last 2. In the second game, Syracuse vs Washington, Jayla Hemmingway was incredible. The 5’11 scored on all 3 levels and with the improved jumper especially from 3, Hemmingway might contend as the area’s leading scorer. She’s so physical on her way to the rim and can finish with fouls with either hand. Jayla’s very good with the ball in her hands and she makes good decisions as a passer but she’s at her best with the intent to score and she’s down hill, not a lot of east to west in her game. She looks for mismatches and when she sees it, she exploits it to her advantage. Hemmingway was the best player that I saw on Saturday, hands down but others stood out s well. Johnna Jones, a 5’8 guard from Munford and CBU commit was really good, polished shooter who can maybe able to play some combo next year when she begins college. You simply can’t leave her because every time she shot the ball, it looked like it was going in. Really sound fundamentals, she moved well without the ball and got in positions to score via the jumper. Christian Brothers is getting a really good player in Jones, an absolute steal. Tamia Aldridge was a surprise for me because when the game first started, it appeared she was more of a pure post but as the game progressed, so did she. She put it on the floor, handled full court and looked comfortable enough to play on the perimeter maybe more than she has in the past at her new school, Bolton High. She’s more athletic than one may think at first glance and plays every possession hard. She showed she can score it close and be a finisher and while she didn’t shoot the ball a lot from the perimeter, her mechanics were good when she did. She’s going to do some really positive things for Bolton this year and make a name for herself while doing so. Her teammate Heaven Thompson just keeps going and going, so active and she’s more than a ball hawk, I might call her a ball eagle. 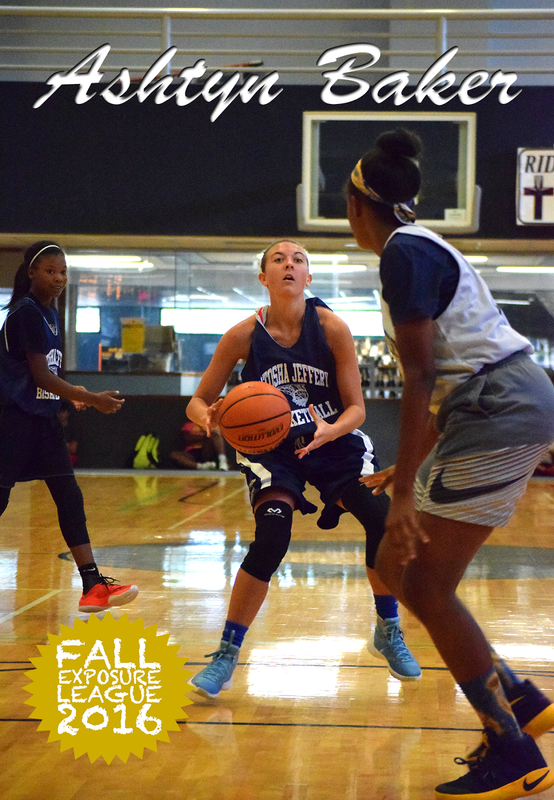 You can’t loft passes around her and you better guard your basketball because she gets after whoever she’s guarding . She takes chances and will gamble a lot but it’s something you can live with because of how hard she plays. She was the best on ball defender that I saw Saturday but Thompson isn’t just a defensive pest, she can score it as well. She did most of her damage off lay ups in transition where she thrives because of her speed and showed she can get where she wants in a half court setting. She’s just a ball of energy and she’s fun to watch because she looks like she loves to play. Stay tuned to more coverage from Patosha Jeffery’s Fall Exposure League in the coming weeks. 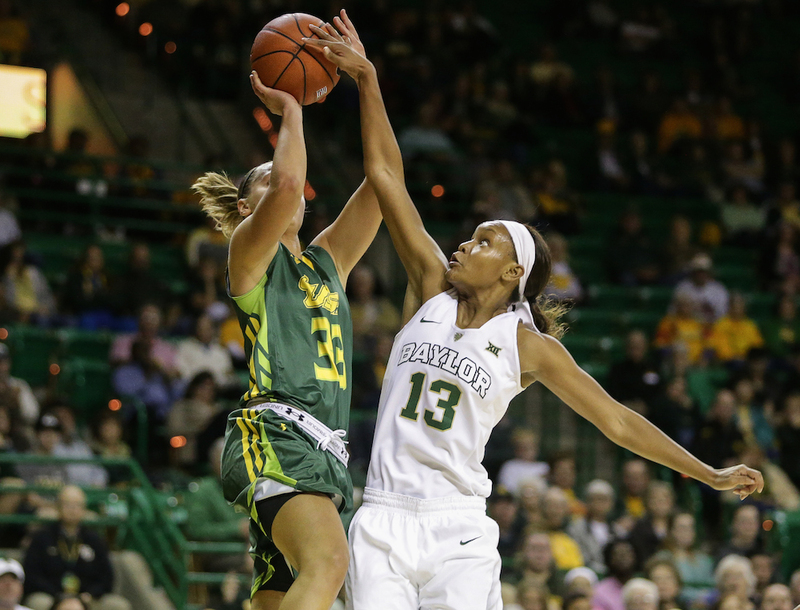 Baylor’s Nina Davis is just your average college basketball star on her way to becoming a WNBA mainstay. OK, maybe “average” isn’t the right word. Coach Ingram is the former Germantown middle school girls coach. Congrats Coach! 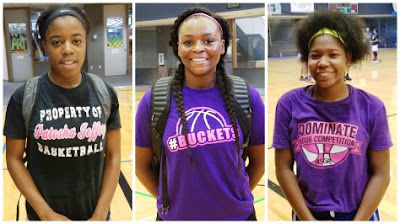 Last month, Karlee Bates, Sequoia Allmond, Diona Reed, and Nya Stewart had the opportunity to attend an invite-only event, Future Stars USA, for 2020, 2021, 2022 classes in Augusta, GA.
44 division one colleges were in attendance to watch the players including Kentucky, Notre Dame, Louisville, South Carolina and Maryland. Diona Reed, 6-4, center, 2021 (Millington, Tennessee) Reed has a very strong build (particularly for so young), decent hands and game around the basket. All things considered, she runs adequately. Keep up the great work Ladies!!! Kenny Kallina released his 2016 Top Club Teams of the Summer and Memphis has 3 Teams on the list.